When looking for crib mattress reviews, there is no shortage of information and options out there. Finding the right mattress for your new little bundle of joy can be overwhelming (and a little terrifying), but knowing what to look for is the first step. For today’s review we’re taking a look at Brentwood Home’s highest end baby / toddler bed, the Wildfern Crib mattress. For the highlights of this review, click here to skip down to the review summary. For a more comprehensive breakdown of the Wildfern crib mattress by Brentwood Home, keep reading! 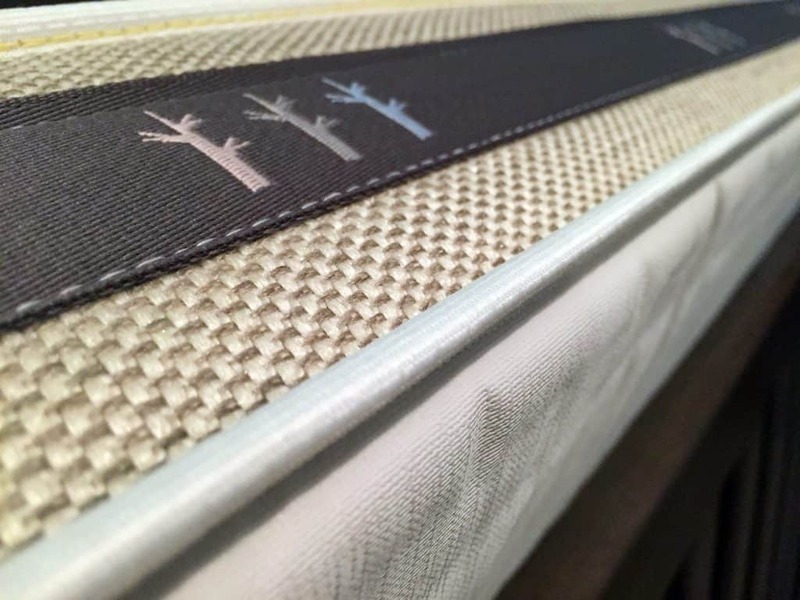 The construction of the Brentwood Wildfern mattress is geared towards the eco-friendly parent. There are three main layers, which combine to create one of the most natural crib mattresses on the market today. Top Layer (cleanability): The handcrafted cover is made with a seamless waterproof top panel and breathable mesh on the sides. The trim is a tight non-vinyl piping that is thick enough to help keep the sheets in place as well as durable to prevent tearing or other damage over time. Depending on the age of your child, there is a firm side (for infants) and a softer side (for toddlers.) This flexibility makes it a great mattress in terms of longevity of use. It’s built to last, and with convertible firmness levels for a growing child, you can use this mattress for years to come. 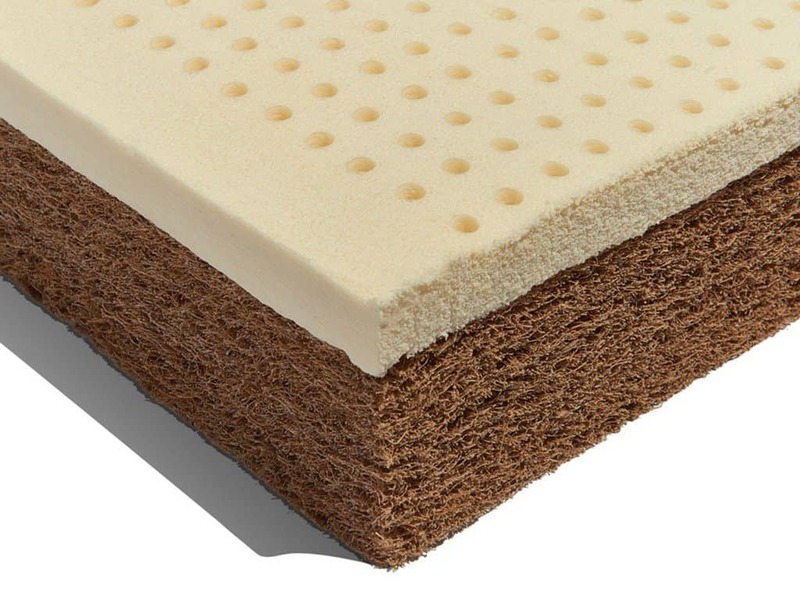 Soft Side (Toddlers) – 1” of organic latex gives this side of the mattress a softer feel and adds pressure relief, without compromising any of the support that the firm side provides. Latex is known to have a little more bounce, be extremely breathable, and slightly less compressive compared to traditional poly foams. In addition to these layers being very natural to the touch- they are also hypoallergenic, anti-static and anti-microbial. There was no noticeable off-gassing when unboxing this mattress, which speaks to Brentwood’s trust when making their claims about the natural materials used in the Wildfern mattress. This crib mattress is free of lead, phthalates, PVC, and chemical flame-retardants. For a unique natural fire protection, hydrated silica is used, which meets and exceeds federal flammability and CPSC standards. From a parent’s perspective, this mattress feels very high-quality. The waterproof topper is thick, the side mesh is soft to the touch and it seems to be made extremely well. 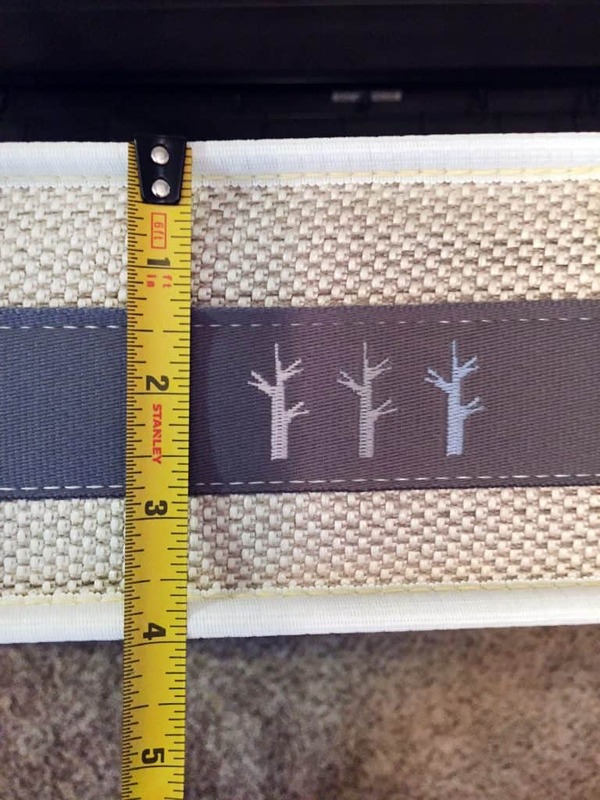 One thing I will add here, are the dimensions of the Wildfern crib mattress as listed on the Brentwood Home website- 53”L x 28”W x 4.5” H. According to crib regulations, a full-size crib mattress cannot exceed 6” in total thickness. When I measured this mattress at home, it only looked to be about 4” thick. 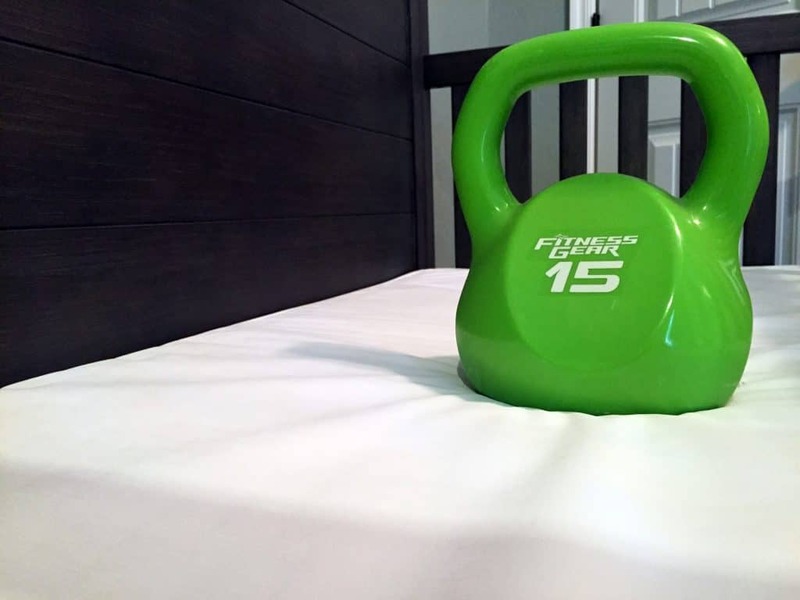 That being said, 4”, 4.5”, or 6” really isn’t a deal breaker either way- as long as the content of what’s inside the mattress is sufficiently supportive for your child. Just check your fitted sheet beforehand and make sure it will still be a snug fit. For standard fitted crib sheets, I found there to be a little extra give in the sheet due to the thickness of the mattress. To further test out the variable firmness of this mattress, I used a stand-in baby (until our little guy arrives in a couple weeks!) 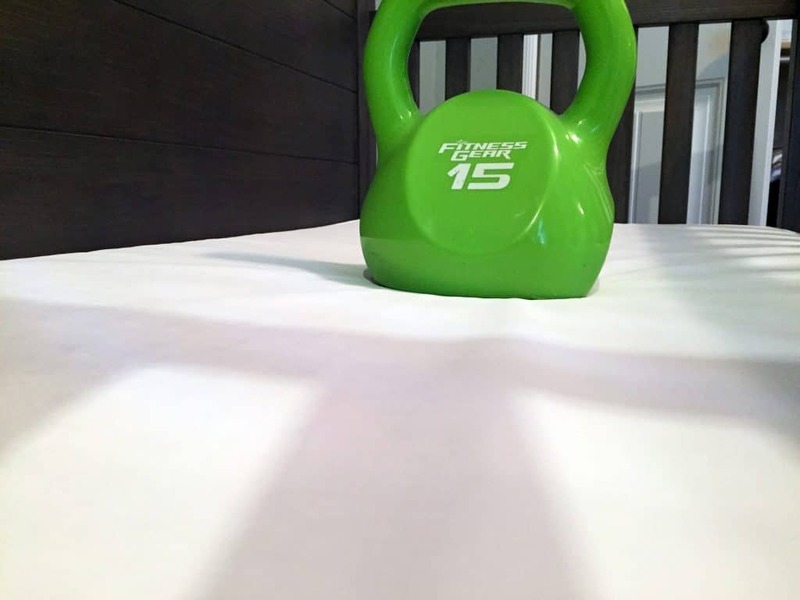 In this case, it was a 15 pound kettlebell. As you can see, on the firm (infant) side, there is minimal sinkage, about what you could expect from a baby that is a few months old. A typical newborn would provide even less pressure. I would consider the sinkage of this mattress to be very safe. Also, due to the material density of natural coconut-husk, you can rest easy knowing that the mattress will not sag over time based on the sleeping positions of your baby. On the soft (toddler) side, the sinkage was a little greater, which would still be considered safe since toddlers can lift their head out of the mattress at night, something that would otherwise be a risk to an infant. That being said, I would still consider this to be a very firm mattress, by most adult standards. One important thing to remember about shopping for a crib mattress is that you’re not shopping for yourself. What may be soft and comfortable to you, could pose a serious risk to your baby. This mattress, although firmer than anything I’d enjoy sleeping on, provides just the right balance of firmness and support for an infant or toddler. Please remember that we are not doctors or medical professions. As such, we cannot provide medical advice / recommendations for you or your baby. You should consult your doctor if you’re concerned about the safety of the mattress. Coming in at $325, this is not the cheapest mattress you will find, but as with most things, you get what you pay for. The higher ticket cost is largely due to the natural composition of the materials used in this particular style of mattress. 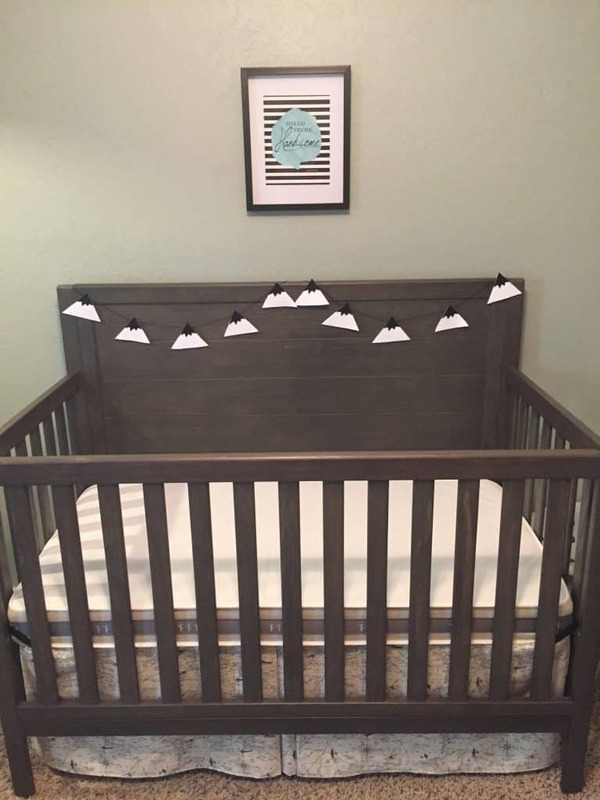 If you’re looking for something that is high quality, but maybe you don’t necessarily need or want all the fancy materials, Brentwood offers two additional crib mattresses- the Dandelion ($235) and the Poppy ($130). These mattress alternates have many of the same materials; they are hypo-allergenic, eco-friendly, and maintain the same high-quality construction as the Wildfern crib mattress. The difference lies in the layers- the Wildfern being made of all natural coconut husk and latex, while the Dandelion and the Poppy are comprised of more traditional foam layers. 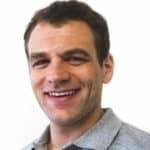 Who Should Buy the Brentwood Wildfern Crib Mattress? Overall, the Wildfern natural crib mattress by Brentwood Home is a great purchase if you’re looking to purchase an extremely natural crib mattress that will grow with your child. It is convertible between infant and toddlers and both sides have a waterproof cover (for messes at any age!) The results of the sinkage test showed safe levels of sinkage on either side of the mattress. Want natural materials – organic coconut husks and organic latex make this an extremely natural and healthy choice. Want longevity and durability – the 10 year warranty, solid build quality, and material construction give me a lot of confidence that this mattress will last a long time. Additionally, being flippable with two different feels means you can use this mattress well into the toddler years. Want a waterproof cover – it’s a good idea to use a crib mattress protector, but in case that fails the cover on the Wildfern is also waterproof. Double layer protection is always good. For more information on the Wildfern crib mattress visit BrentwoodHome.com. The Brentwood Home Wildfern crib mattress is designed for both infants and toddlers. This dual sided mattress is built from layers of organic coconut husks and organic latex. The coconut husks side is firmer, making it ideal for infants, while the latex side is slightly softer and better for your growing toddler. At $325 it’s not cheap, but the dual sides gives this mattress great longevity, allowing your bundle of joy to get many years out of this crib mattress.